And, that is exactly what I will be doing next summer. 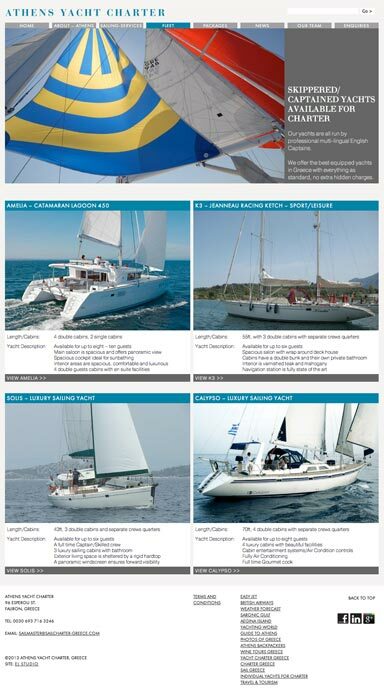 Having completed the Athens Yacht Charter and Athens Sailing Academy websites, Captain Jonathan Chandler has kindly invited me out to sail with him on the spectacular 55 foot Jeanneau racing ketch, Koralia 3. As winter draws close, I will escape to the tranquility of the Aegean Sea.